Sony's security problems continue to mount, as Sony Online Entertainment reveals that the personal information of 24.6 million SOE accounts and more than 12,700 credit card numbers may have been compromised in the massive attack that brought down the PlayStation Network late last month. According to a Sony Online Entertainment statement, the company believes the data theft took place between April 16 and 17, which is around the same time as the cyber attacks that compromised the PlayStation Network. This particular data theft was discovered early this morning during Sony Corporation and Sony Computer Entertainment's investigation into the PlayStation Network attack. According to Sony Online Entertainment, user information that has been compromised includes names, addresses, email addresses, birthdates, gender, login names, and passwords. The credit card data stolen, however, comes from an outdated database from 2007. That database contained 12,700 non-U.S. credit or debit card numbers and expiration dates, along with the direct debit information for 10,700 customers in Austria, Germany, Netherlands and Spain. SOE will be offering subscribers to its massively-multiplayer online games a free 30-day subscription, as well as compensation for each additional day the services are down. It's also working on a "make good" for players of its PlayStation 3 MMOs Free Realms and DC Universe Online. 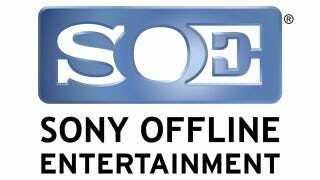 Update: Sony Online Entertainment has issued a notification assuring customers that current credit card information has not been compromised. "There is no evidence that our main credit card database was compromised. It is in a completely separate and secured environment." The Federal Bureau of Investigations today confirmed to Kotaku that it is looking into the security breach that brought the Playstation Network down and exposed millions of users' personal data to cybercriminals.